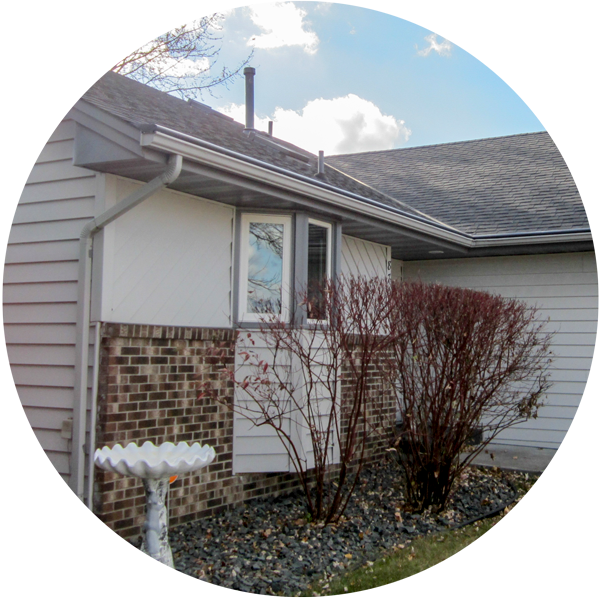 When you’re looking to make home improvements, Siouxland Gutter Helmet is there for you. We can help you make the repairs and improvements you need. 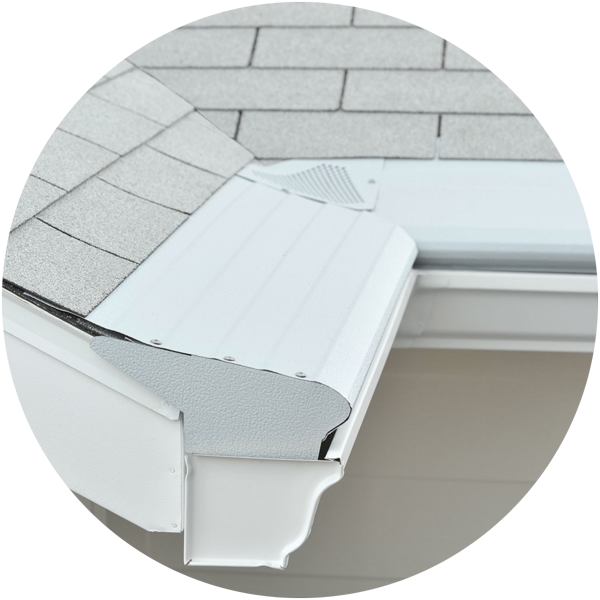 We are proud to be the exclusive dealer of Gutter Helmet gutter protection system. 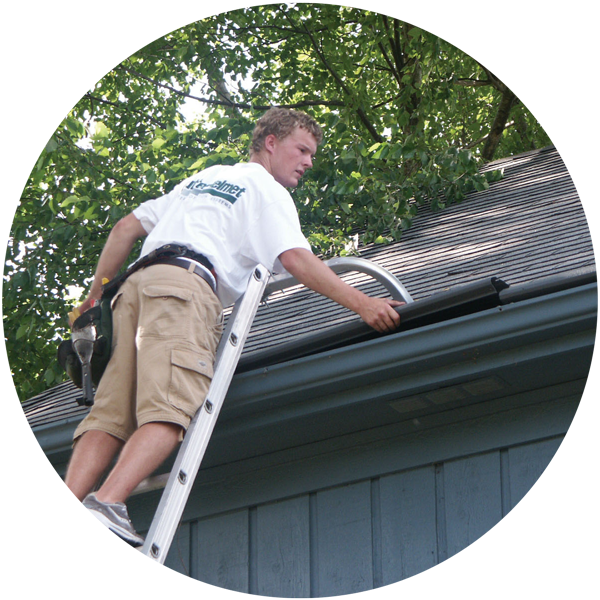 We also install gutters, siding, windows, doors and insulation. Contact us today to schedule a free, no-hassle quote. We offer written quotes, courteous service and competitive pricing. We are a family-owned company and will be here for you for years to come. 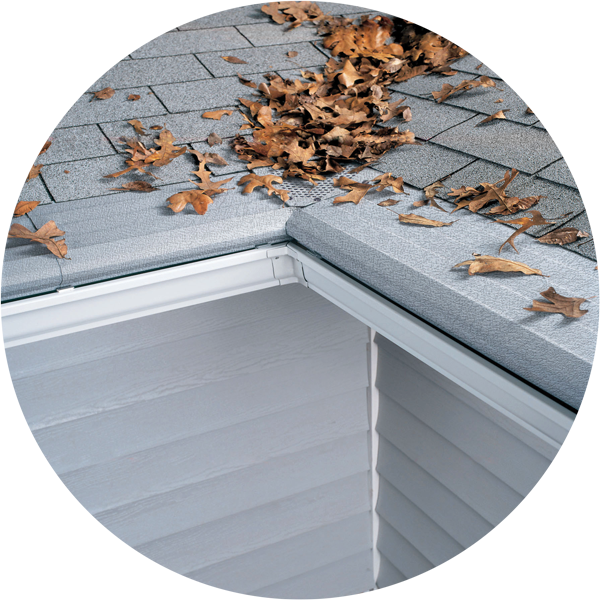 Gutter Helmet®, the original gutter protection system, keeps debris from gathering in gutters, eliminating the hassles, damage and dangers caused by clogged gutters. 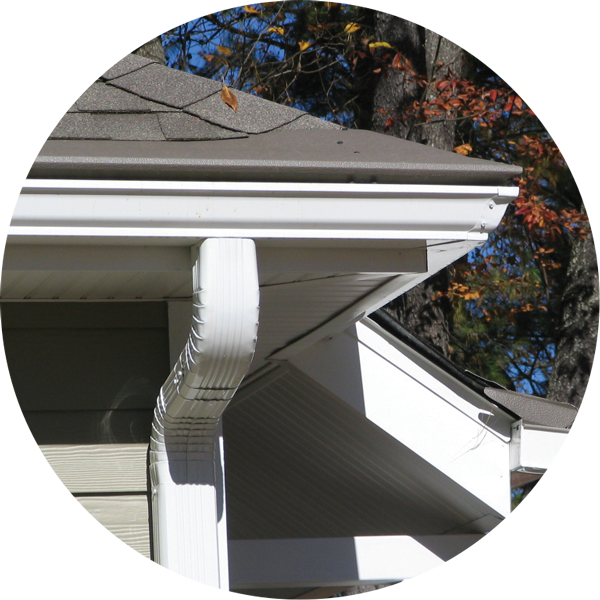 Gutter Helmet’s patented nose-forward design extends the Helmet to the edge of the gutter, eliminating all vertical openings and keeps out debris, feathers, pine needles and even birds and their nests. 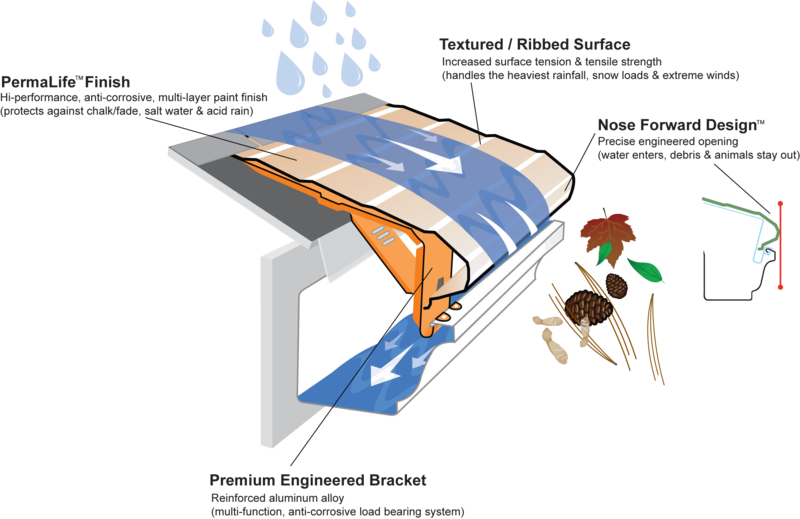 Along with this, its textured PermaLife coating increases rain handling capabilities and strength. 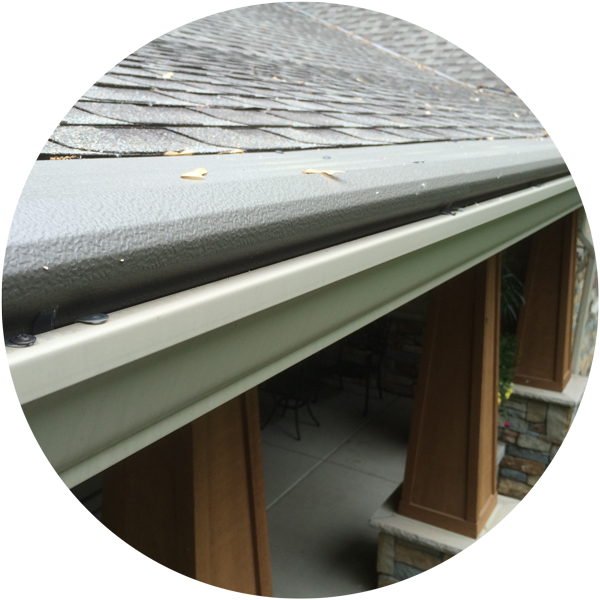 Gutter Helmet is designed to blend into the natural architectural style of every home, so whether you have a concrete tile, metal, or asphalt shingle roof, there is a color and install for your home.